I have worked in marketing for several years. Most recently with CarInsuranceRates.com, a popular car insurance resource. I work with media contacts and consumers to build trusting relationships. Additionally, I handle press releases and social media operations. 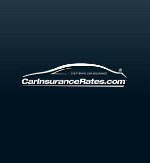 I handle communications, marketing and public relations for the automotive resource CarInsuranceRates.com - an industry leader in providing consumers free car insurance quotes. Join Today to follow and contact Nathan Ackerman.